Hotter weather attributed to climate change is drying out vegetation, creating more intense fires that spread quickly from rural areas to city subdivisions, climate and fire experts say. 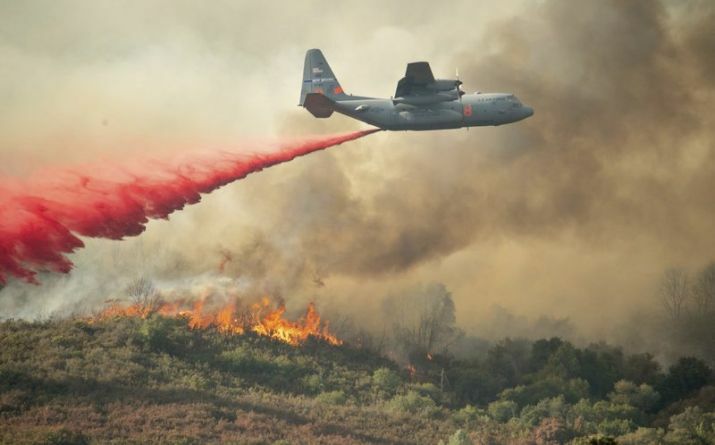 A US Air Force plane drops fire retardant on a burning hillside in the Ranch Fire in Clearlake Oaks, Calif., Sunday, Aug 5, 2018. 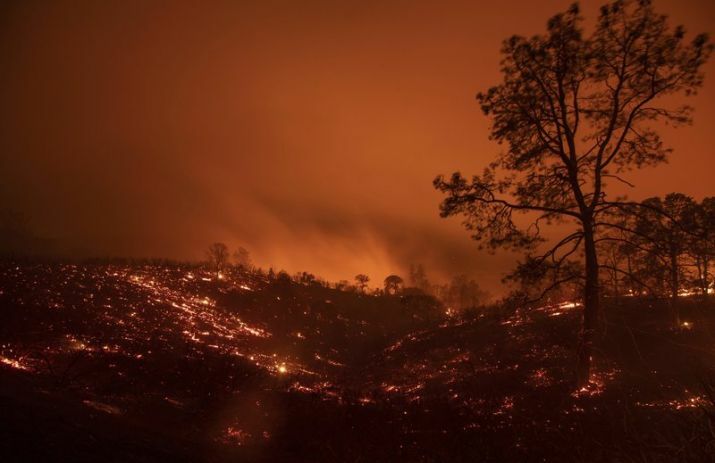 Lakeport, California: Twin Northern California blazes fueled by dry vegetation and hot, windy weather grew Monday to become the largest wildfire in state history, becoming the norm as climate change makes the fire season longer and more severe. 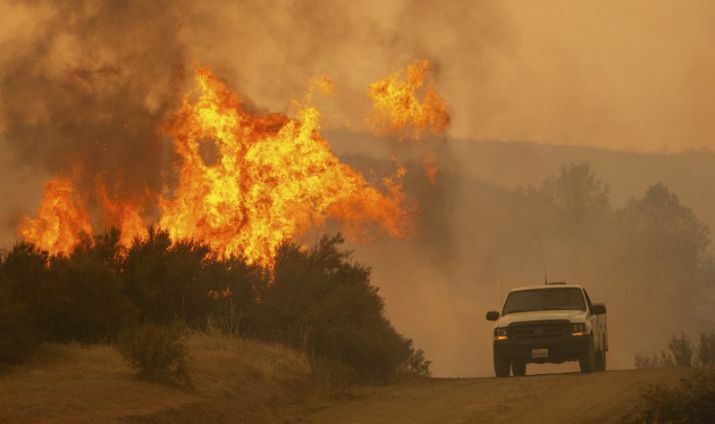 The fires, north of San Francisco, have burned 75 homes and is only 30 per cent contained. The size of the fires surpasses a blaze last December in Southern California that burned 281,893 acres (440.5 square miles or 1,140.8 kilometers). It killed two people, including a firefighter, and destroyed more than 1,000 buildings before being fully contained on January 12. The US Forest Service reported that the fire crossed a highway Sunday evening, forcing crews to retreat from the fire’s edge.